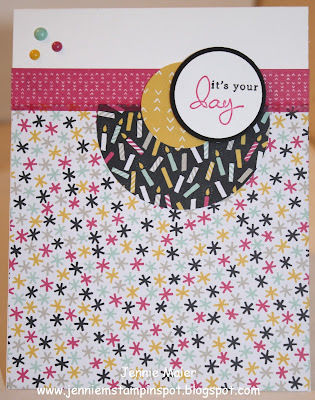 Card making is so easy for me when you have the papers that all coordinate! And when your accessories match as well, that's the best! I just LOVE the It's My Party DSP Stack! I used that and the Splitcoast Sketch#583 here for this card. Endless Birthday Wishes is the stamp set.